The ISPCA is urging the public to help reduce the high number of unwanted cats and dogs in Ireland by spaying and neutering their pets as early as possible. The SpayAware 2018 awareness campaign launched today [30th May 2018] outlines the positive benefits of pet neutering encouraging owners to talk to their vet today. 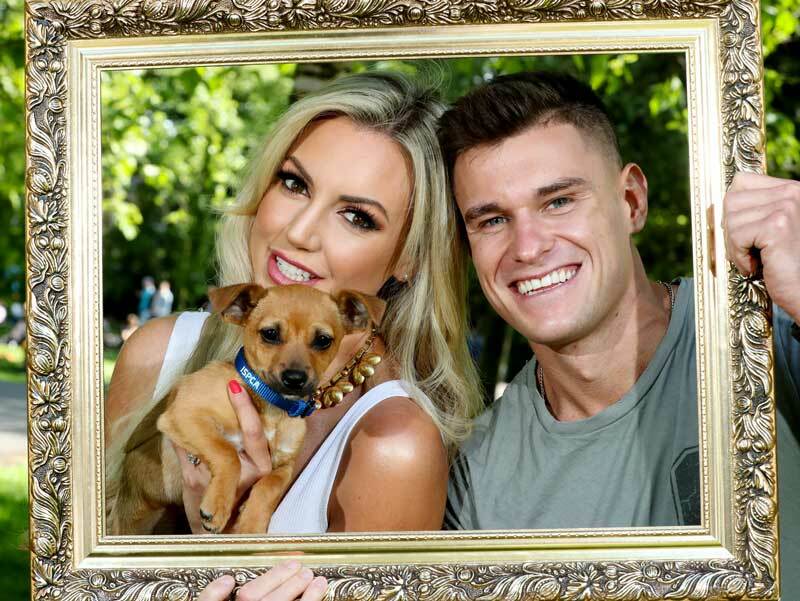 Best-selling author and model Rosanna Davison along with vet, broadcaster and author Pete Wedderburn joined the charity to support the annual message highlighting the benefits of neutering and spaying. Rosanna said: “Each and every one of us can make a difference by being responsible and doing the right thing for our pets by getting them neutered as early as possible”. Fitness guru Rob Lipsett also joined the charity to lend his support asking pet owners to talk to their vet today and get their pets neutered to prevent unwelcome consequences. SpayAware has the continued support of Veterinary Ireland, with member vets displaying posters and fact sheets in animal clinics and surgeries across the country. Posters are also being displayed in animal welfare centres, local authority offices, dog pounds, pet stores and other community venues and are available for download on www.ispca.ie/spayaware. Spaying reduces the risk of mammary cancers in female dogs from 70% to 0.5% if they are spayed before first heat. Un-spayed cats are seven times more likely to develop mammary cancers than those spayed at puberty. 80% of feline mammary tumours are malignant. Testicular cancer is the second most common cancer among male dogs. Neutering eliminates that risk. Neutering reduces fighting and unwanted territorial behaviour in male cats by over 80%. Spaying/Neutering is a very simple procedure completed under anaesthetic and the recovery time is usually very quick. Your cat or dog will need to be dropped off at the vets, and picked up again later that same day. Puppies should be neutered or spayed at five to six months of age, though large or giant dog breeds require more time to develop so you should always seek advice from your vet. Kittens should be neutered or spayed at four months of age. SpayAware QA and Posters can be found here for downloading. Research was carried out by the ISPCA on the Perceptions of Responsible Dog Ownership in Ireland*. Respondents were asked to indicate a list of scenarios on the necessity and health impacts of neutering, and the appropriate age and here are the findings. Over 60% agreed with the statement that neutering is necessary even “when the dog is confined to the home/is always supervised”. Whether or not neutering is appropriate when the dog is younger than six months (males = 52%, females = 56%). Whether or not neutering is necessary when the dog is confined to the home/is always supervised (males = 52%, females = 56%). Approximately 40% of dog owners felt that neutering puppies (less than six months old) was inappropriate. *The report was compiled by Catherine Devitt, Locksley Messam, Andrew Kelly & Alison Hanlon in May 2016 and based on a study funded by the Irish Research Council’s New Foundation Scheme. The authors acknowledge the financial support of the Irish Research Council. The authors express their gratitude to those who contributed to piloting the survey, and all respondents who took the time to commence and complete the survey.